In both houses, the Villa Planta and the extension with its various spatial qualities, art can be experienced in an entirely different way. 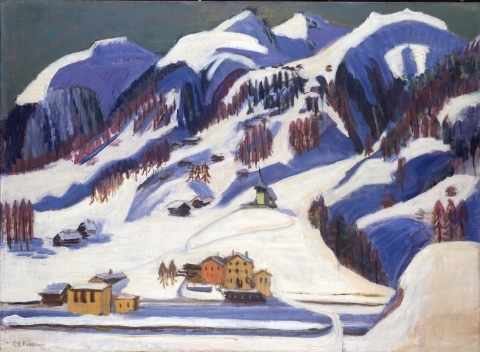 The collection of the Bündner Kunstmuseum has developed since its founding around 1900 out of the specific cultural situation of Graubünden: Part of this is the impact of the mountain landscape as well as the interplay between emigration and tourism. Artists come and go, carry the particular out into the world and bring the world to Graubünden. 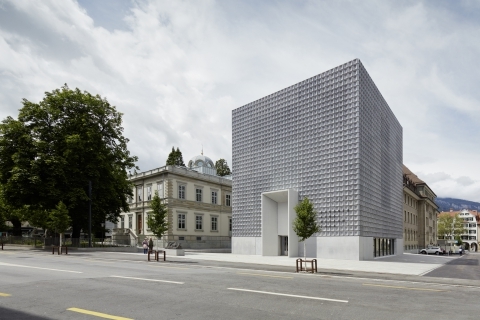 The Bündner Kunstmuseum can look back on a focused collecting activity of more than one 100 years. With numerous works by Angelika Kauffmann, the artist family Giacometti, Ernst Ludwig Kirchner, the artist group “Rot-Blau”, all with a close connection to the canton Graubünden and of art historical significance today, an unmistakable collection profile was created. But also in the field of contemporary art the collection reflects the diversity of present-day art forms.